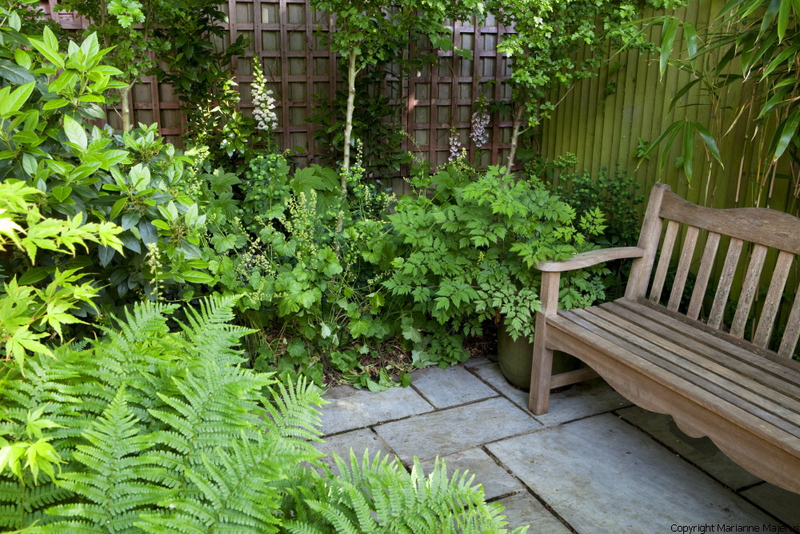 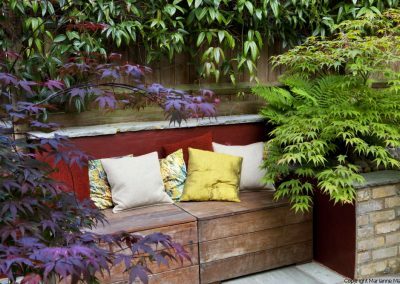 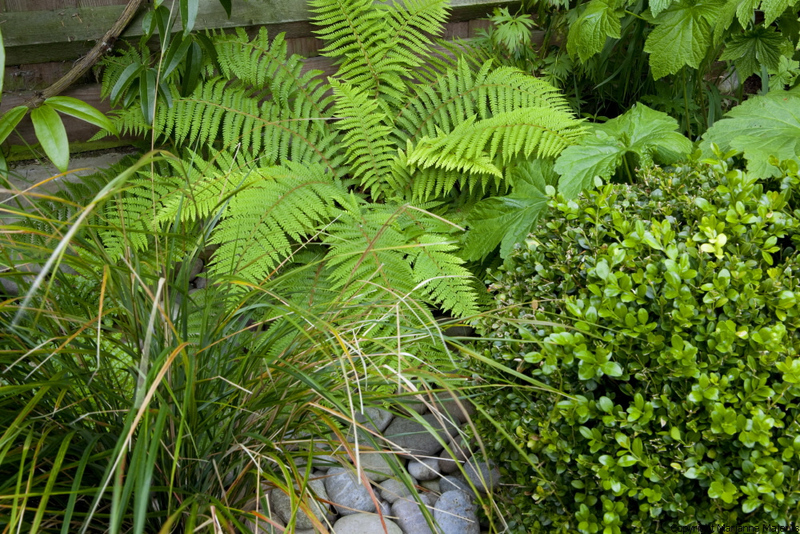 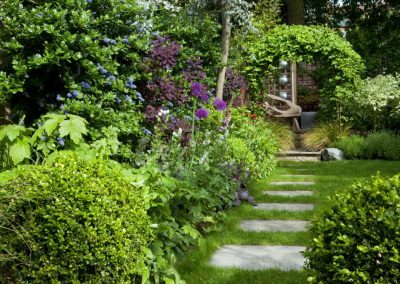 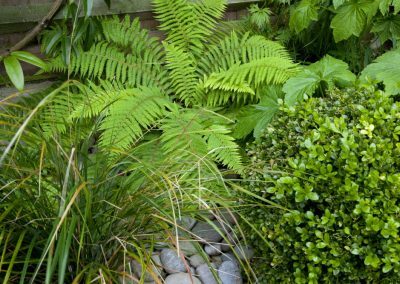 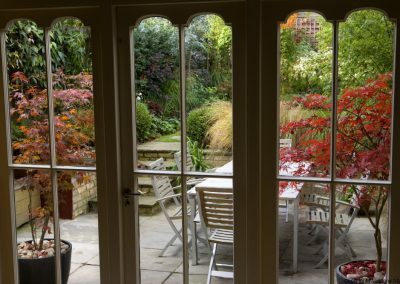 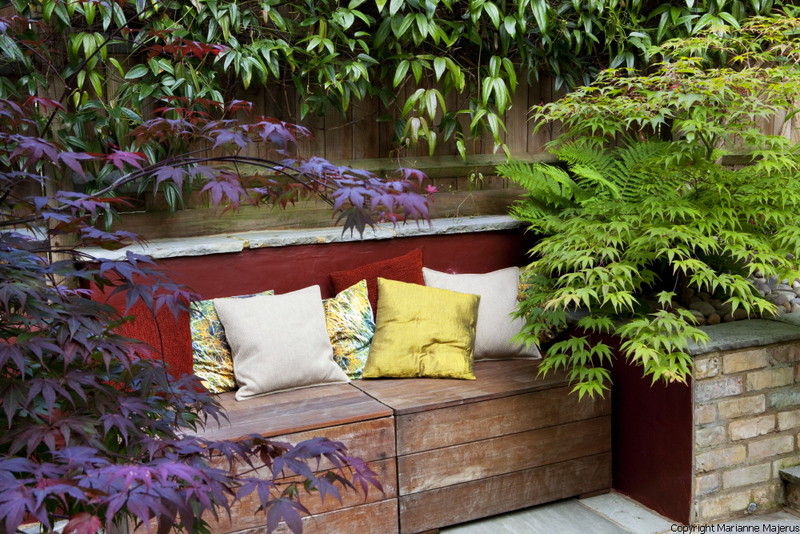 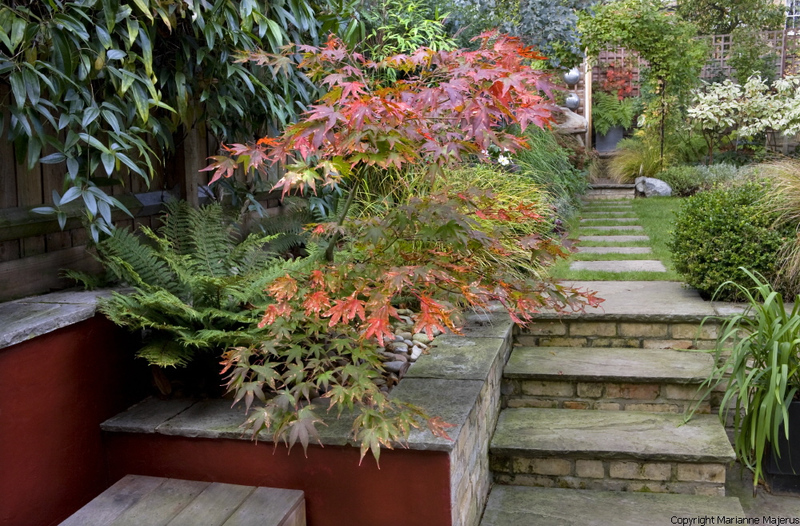 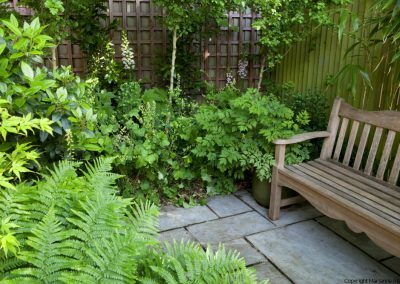 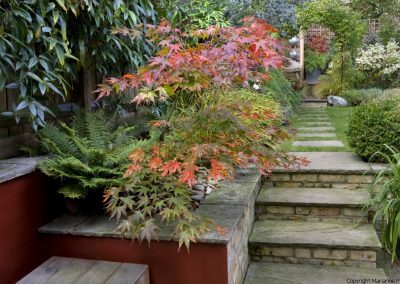 This small shady garden designed in Muswell Hill had a patch of concrete for a patio, scrappy lawn, massive grape vine, poor soil and a few shrubs along with a mature Horse Chestnut tree canopy (the trunk of which was in a neighbouring garden) – dry shade for a growing condition. 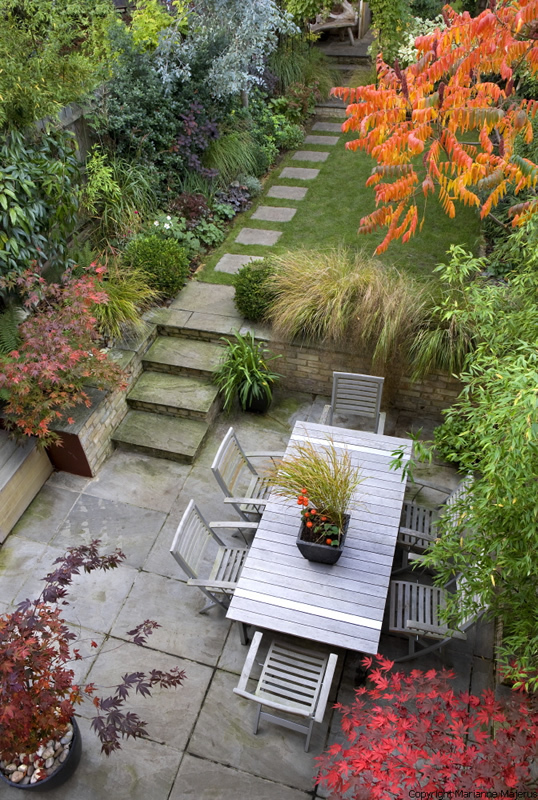 The site also had a level change to consider, along with privacy issues so often seen in terraced houses. 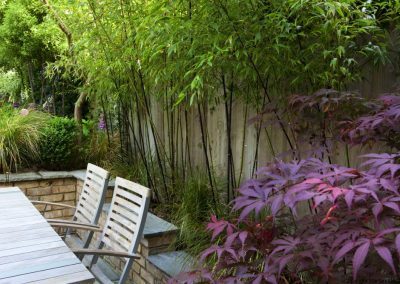 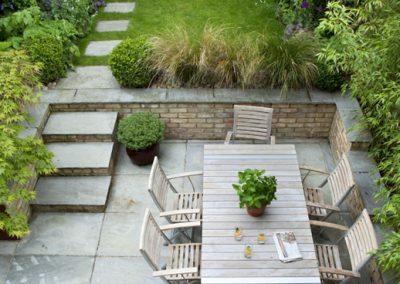 The clients were a family of four who wanted the garden design to maximise their space and to contain a patio, lawn, separate seating area and storage. 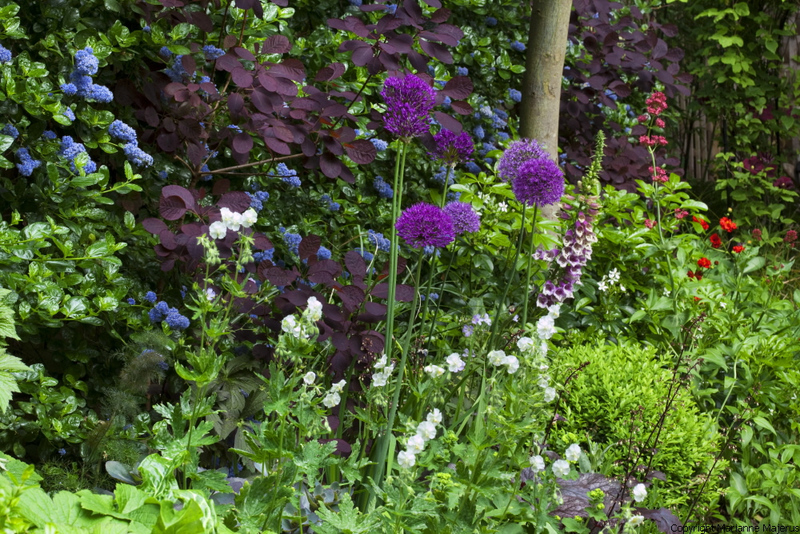 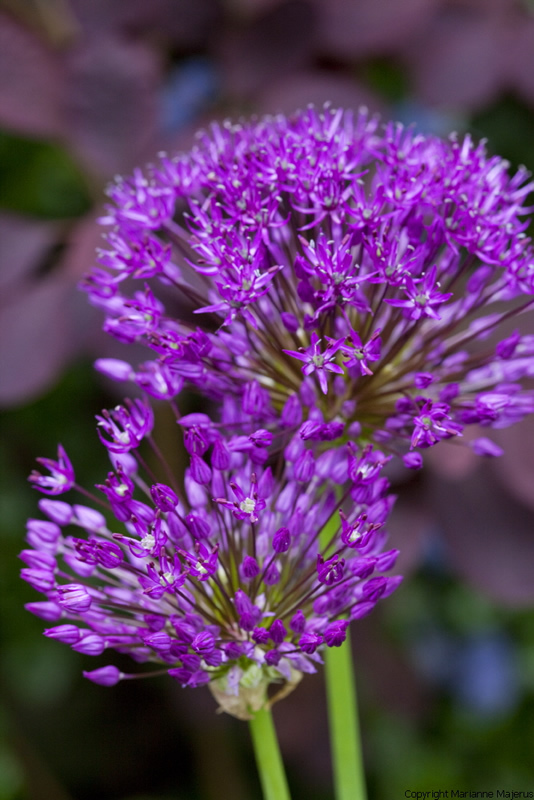 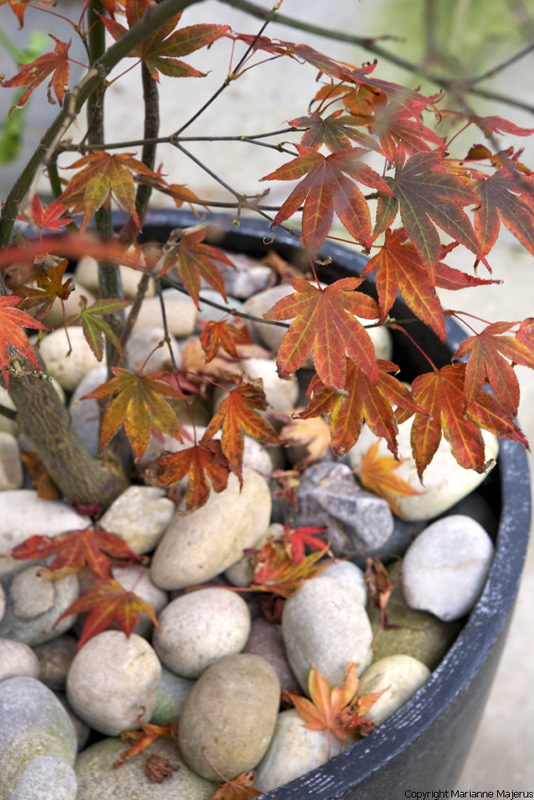 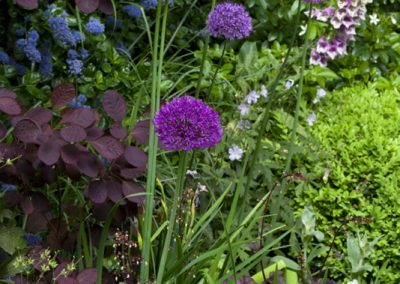 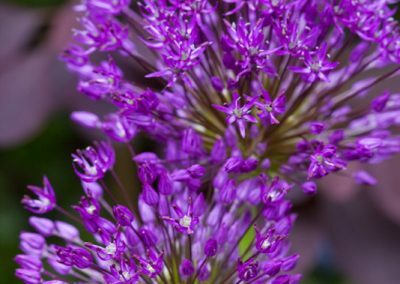 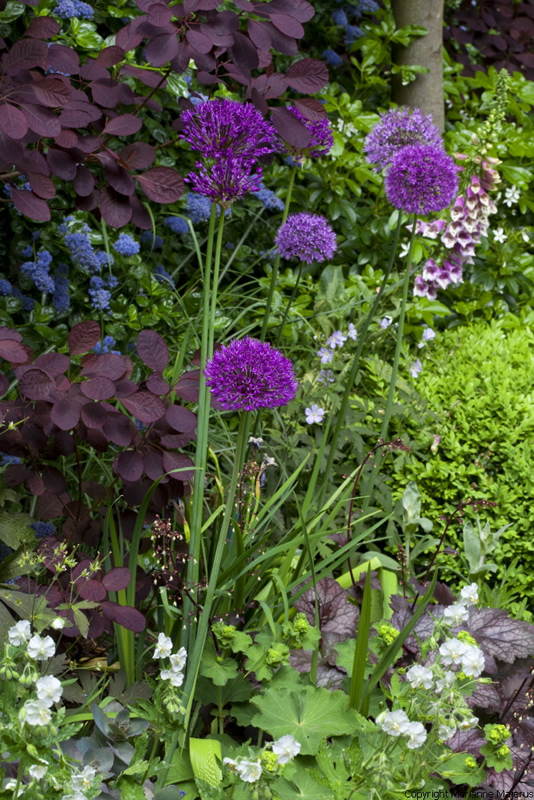 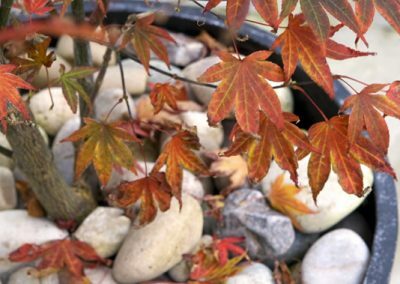 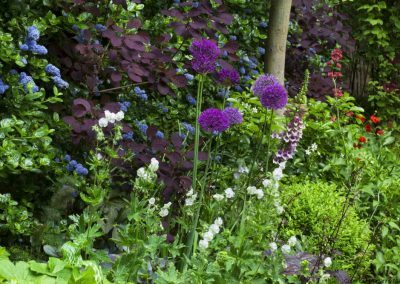 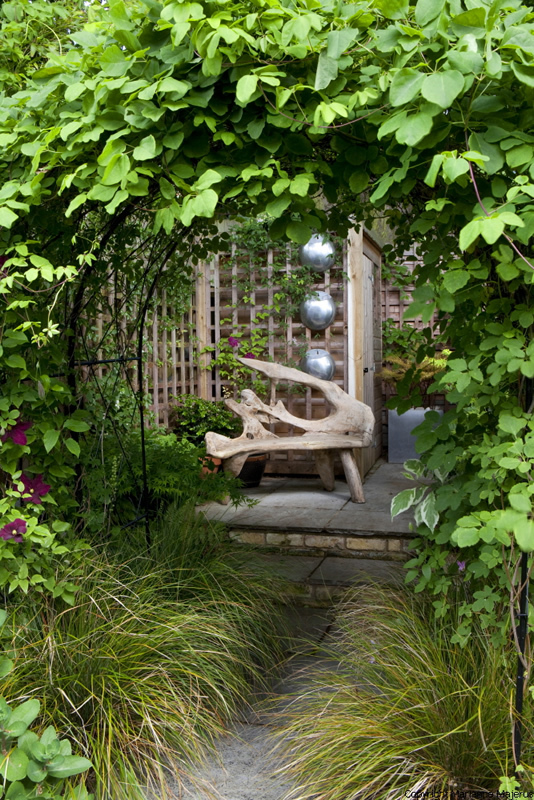 The planting design was to show as much seasonal interest as possible within such a small site. 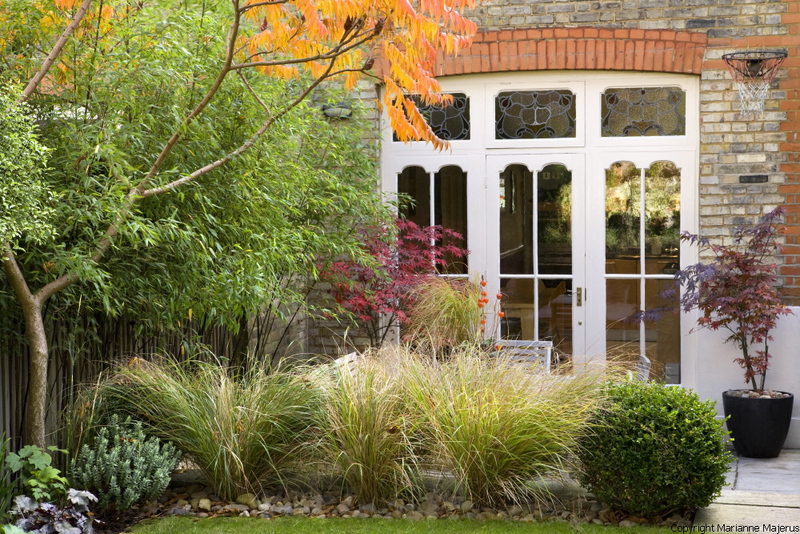 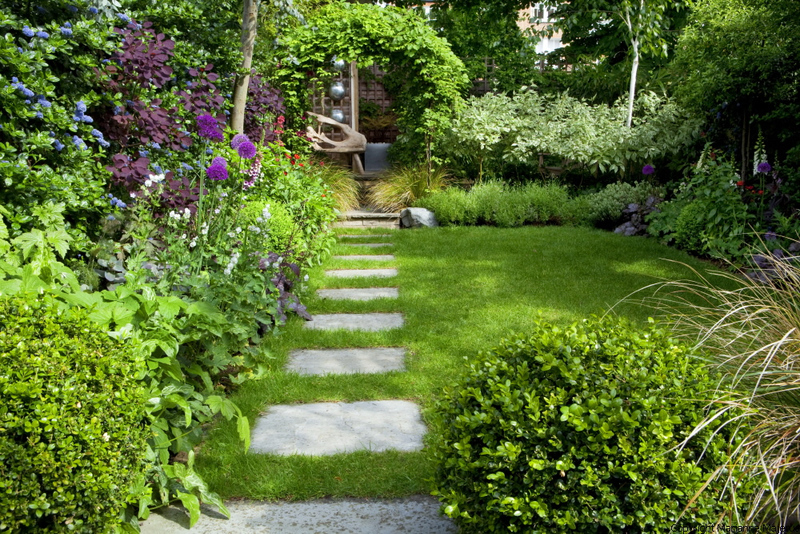 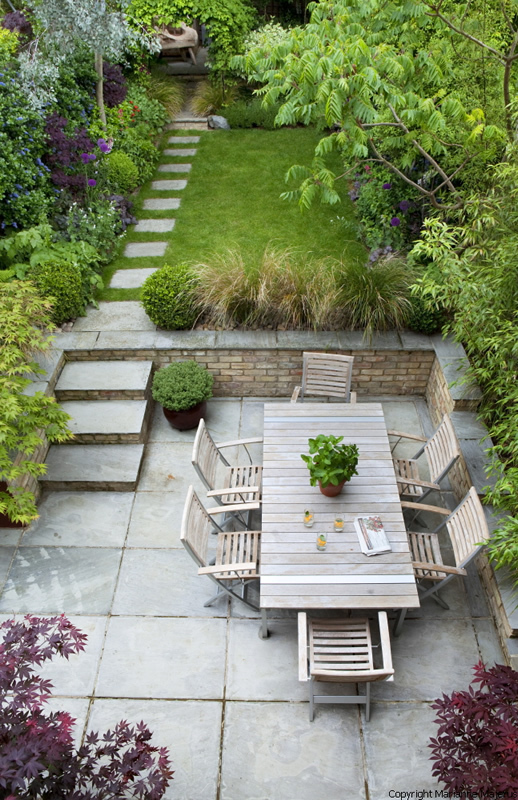 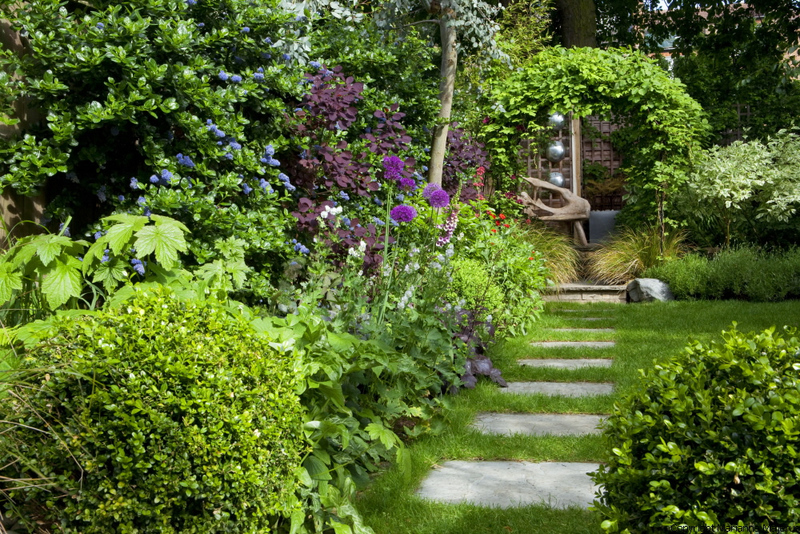 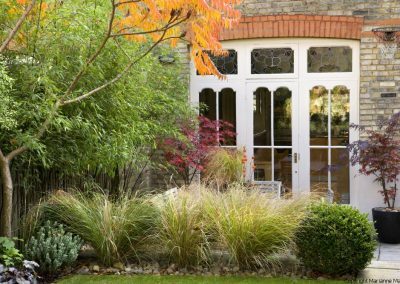 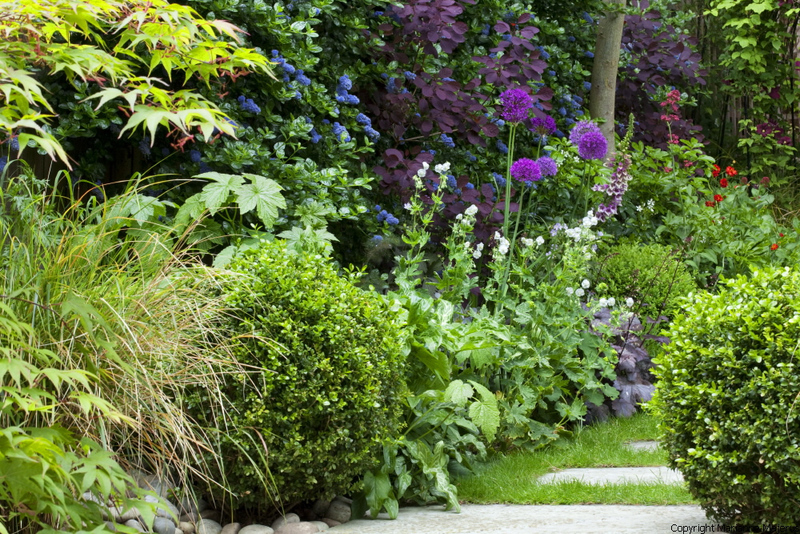 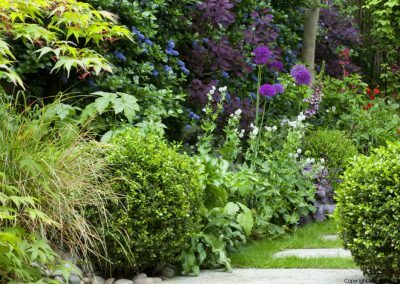 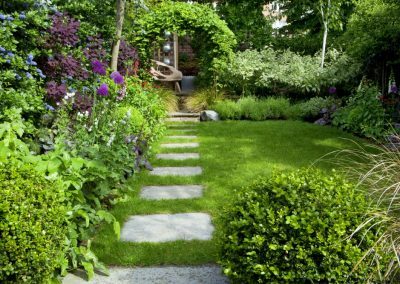 I designed this garden with strong spatial links back to the architecture of the very lovely Victorian house. 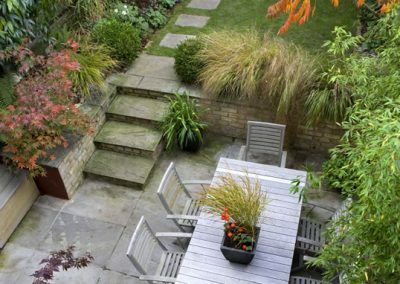 For retaining walls and lawn edging I used the same bricks as the house to further this relationship. 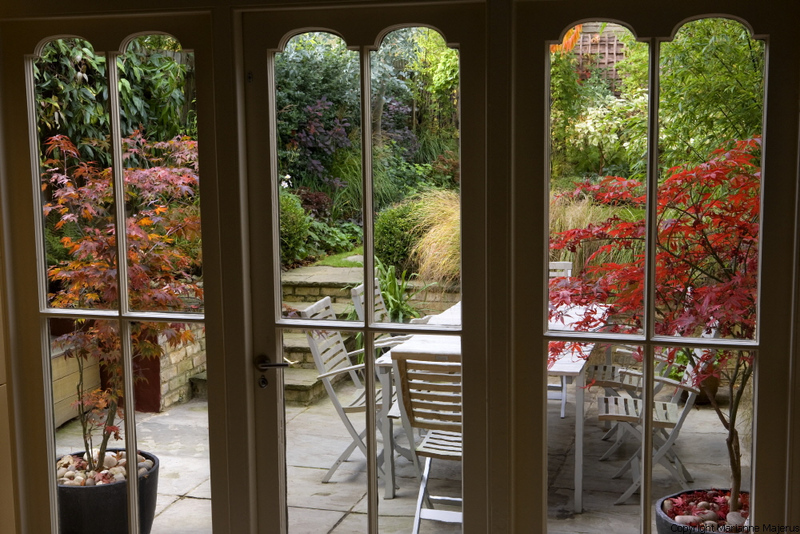 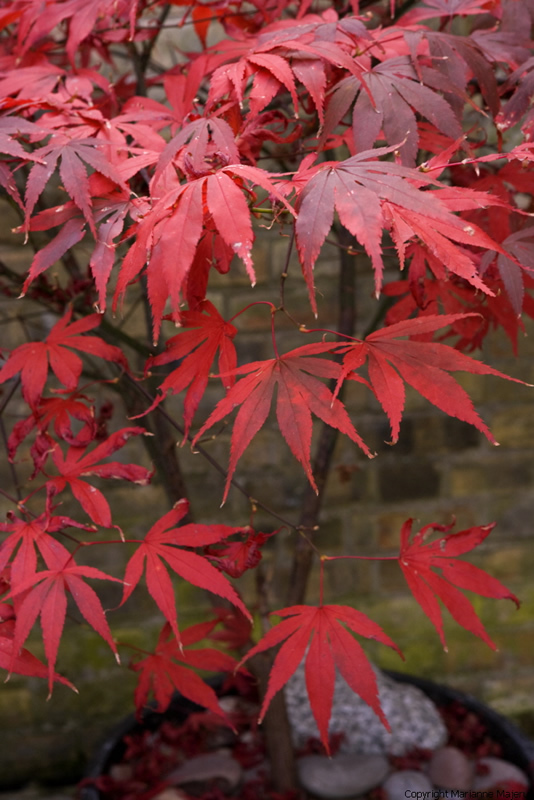 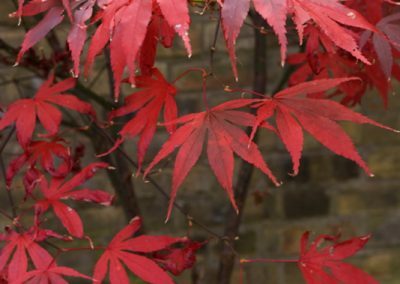 The stained glass in the doors gave inspiration for autumnal colours, with the deep red used again as wall colour. 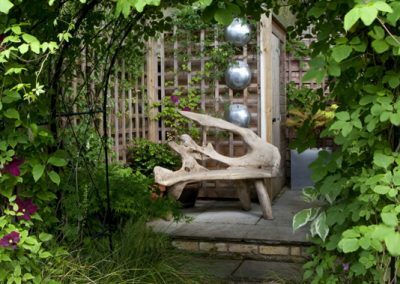 I hid the shed behind a seating area which provided the focal point from the house. 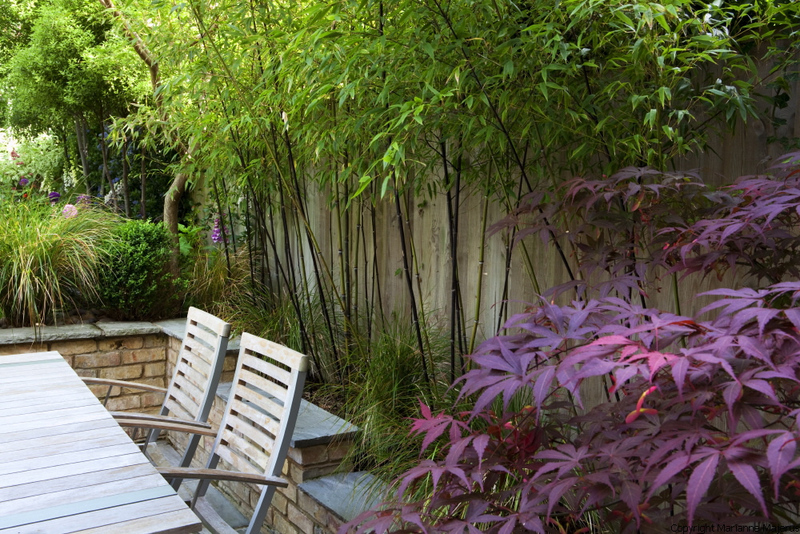 Planting contained a good deal of structure along the boundaries to provide screening and privacy, whilst ensuring I still gave enough space for seasonal interest.